There is a particular kind of insanity running rampant in the world that compels most women to stuff down, ignore, or hide parts of ourselves in order to be acceptable, attractive, or taken seriously. Which doesn’t work. It actually ensures we remain unfulfilled, miserable, and at war with ourselves—and that is a war no woman can win. There is a path to help you become the woman you are aching to become. This path is unruly, messy, a wee bit naughty, and audaciously asks you trust the very parts of you that you previously warred against. While this path has no script, map, or blueprint, you’ll learn to use your sensuous, desirous, wildly feeling female body as a steadfast and trustworthy compass. This is the path of Feminine Genius. If you found a dusty bottle on a shelf of your cellar, there would be only one way to know if it contained an all-knowing genie with the power to actualize your deepest desires: open, and look inside. 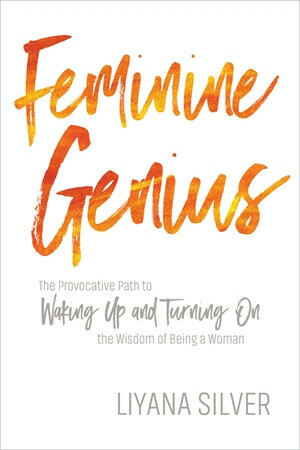 Feminine Genius is a provocative wake-up call, nudging you to uncork that fabulous flask and find out just how much magic you’ve been hiding. Because you do have a genie in your bottle—and genius in your body. Are you ready to open, and look inside?